What’s YOUR favorite part of being in Norco? 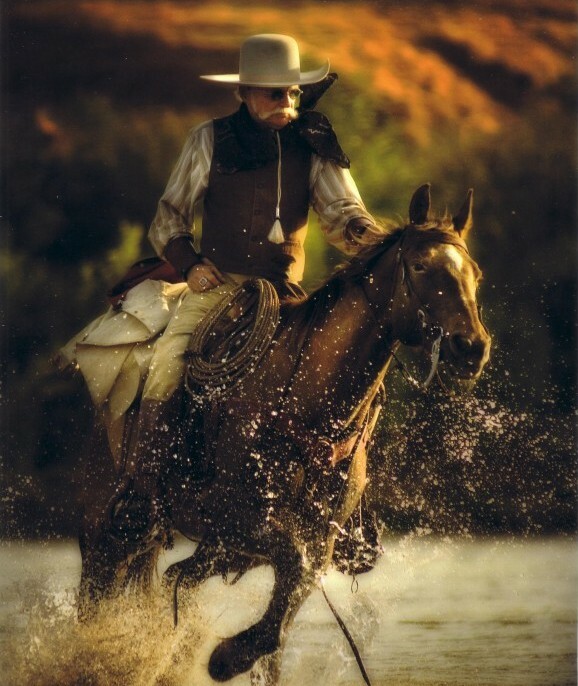 The sense of community and the freedom to ride my horse out my gate to miles of riding trails on all the different terrain, mountains, street or river—we have it all. I call it “Equine Therapy”! My favorite part of life in Horsetown USA is the designated horse trail on every street in the city. As a horselover from as far back as I can remember, I feel at home here in Norco, where everything is about the horse. We have horse shows, equestrians groups, learning opportunities, a river to ride through, lots of feed stores and horse supplies. Everyone seems to be like-minded. We moved to Norco in 1985 and had to leave in 2012 to take care of an ill relative who lived in the mountains of Colorado. Our aunt has passed away, and we were able to move back home to our beloved Norco. My horses love Norco, too—as shown by the big smile! The best part of living in Norco is that you can ride your horse anywhere, and there are so many beautiful trails at the Santa Ana Riverbed. Everything is so country in this little town! Norco is the last full service, semi-rural, equestrian community in Southern California: a patch of green surrounded by a sea of ever growing concrete – we must not take this for granted and fight to protect our large lots, to trails to open space! Norco IS Horsetown USA! It’s like no other place I know. This is where horsemen meet, work, shop and play, and that is why we moved our business here. It’s an eclectic tapestry of horse people and that enriches our lives. What New Year’s resolution do you have with your horses for 2017? As an older and wiser rider, I’ve sometimes struggled to stay involved with horses. I’m not so interested in showing any more (maybe western dressage some day) but I am very interested in having simple fun again, like I did when I was riding just for the joy of it, as a kid. With that in mind, I recently purchased a Haflinger mare who looks like the perfect equine partner to help me rekindle the simple pleasure of riding I knew before life- and riding- got so complicated. Lia is compact, point-and-shoot simple to ride or drive, and she’s so cute she makes me grin every time I see her peeking through her Goldilocks blonde forelock at me. The challenge now is to merge my busy adult life with reliving my childhood dreams. So, my New Year’s resolution for 2017 is to ride my little mare at least once a week (she’s used for lessons to get her exercise and training while I’m tending to grown-up responsibilities) and to haul out to explore a new area on horseback at lease once a month. What New Year’s resolution do YOU have with your horses for 2015? I am currently a member of the Cabazon Mounted Posse with the Riverside Sheriff’s Department. My New Year’s resolution is to qualify both my two horses so I can best service my community. Enjoy the sweet moments of pleasure with her each and every day. Re-enforce how dear she is to me. Always give her high-quality feed and lots of trail exercise. Allow more time to listen and watch my mare, so I will improve my communication skills and continue to give her precious lovings. What makes the areas of East San Diego County terrific ‘Horsetowns’? How will you show your horse LOVE this Valentine’s Day? On Valentine’s Day, like every day, I will show my 18-year-old Quarter Horse love by giving him exercise, supplements disguised as a treat, a clean stall, and a good scratch in just the right place. The greeting he whinnies before I can even get through the gate beats roses or chocolates any day. As a trainer, what trends do you see for 2014? For the big players in the jumper equestrian world, the goal will be to qualify for the World Equestrian Games, held in Normandy. I believe the riders will be chosen from the computer ranking list instead of any Trials. This will allow riders who are stationed in Europe to be eligible to be qualify to be on the team. Generally speaking, horse-and-rider combinations that are planning on trying to qualify for the WEG will not be going or trying to qualify for the World Cup Finals this year. It will be very exciting to have the World Cup Finals back in Las Vegas in 2015. Riders like Reed Kessler, Richard Spooner and Laura Kraut are showing in Europe most of the time. Europe seem to be the trend. What is YOUR favorite horse story shared with your mom? My mom gave me the love of horses at an early age. She was an avid horsewoman who told me I was born with manure in my hair. She had my sister and I on horses before we could walk — one in front and one in back…out on the trail we would go! My mother fox-hunted and did the open jumpers in her day. She literally rode up until the day she went into a coma and passed away. My favorite memory with my mom was to watch the grand prixes…every one we could get to! What does 2012 have in store for the horse industry? 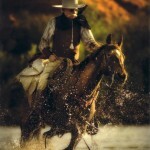 There will be more stability in the horse industry in 2012. Horse prices appear to be improving, especially if the larger auctions in the performance horse industry are indicators. This should allow breeders to be more energetic when it comes to breeding more aggressively, thus making more stock available for the future — especially with upper-end horses. In turn, trainers will see more horses in their programs and more riders in training. I think the participation level at most shows will be up in most disciplines, especially working cow horse, cutting, reining, ranch sorting, barrel racing, etc. Since this is an election year, the government will do everything in its power to get people out and spend money – with tax cuts, etc. – and since the horse industry is fueled by discretionary income, this should all help add up to a better more stable year. The key for all of us is to keep on doing what we love…and get out and ride and compete! The end result will be a positive year for the equine industry. What is YOUR favorite horse story shared with your dad? EDITOR’S NOTE: Response to our Father’s Day eArena question was remarkable! To read all answers, please visit our eArena! My dad was anxious to cure me of horse fever when I was about 4 or 5 years old. He took me to the pony rentals and told the man “strap her on tight and run the pony until she cries.” Well, of course I never cried. I just laughed and smiled. Dad finally surprised me with a horse when I turned 14 years old. Schroeder was waiting in our backyard when I got home from school on my birthday! We had a local stable less than a mile from the house and everyday I would beg my dad for a horse. When I was 9 my parents went through a horrible divorce, and I cried everyday. One day my dad came and picked me up and took me to Chino, Calif., to look at a young horse (three — looking back I cannot believe it!). We bought him on the spot and trailered him to Fullerton — the Lucky Copper Corral! That, I can honestly say, was the best day of my life and it saved me from my sadness! I now have four horses in my backyard and I owe it all to my dad! I love you, Dad…I miss you! I don’t have a specific story about my Mom…I just am so lucky that I had such a great Mom. She never missed a class, came to most of my lessons and was supportive in every way. I was a very lucky kid. Our first trip with the truck and trailer to Des Moines, Iowa, for the POA International Sale and Futurities. One blow out, two leaking tires, a 2-year-old with stitches, buying five horses and only having a three-horse trailer AND an insane freak storm with lightning, hail, and black ice…yet having the best time ever!